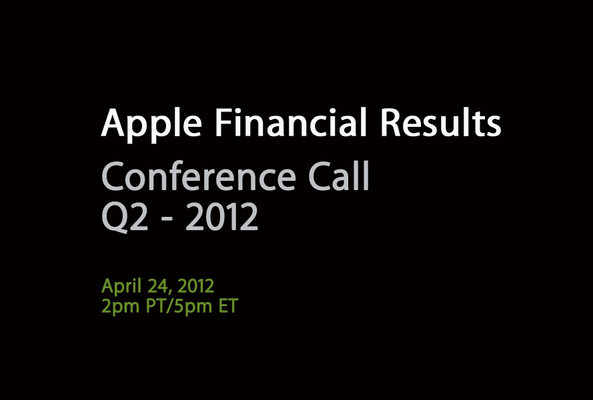 Apple will webcast its calendar 2012 second-quarter earnings next Tuesday, April 24 at 2pm Pacific / 5pm Eastern. 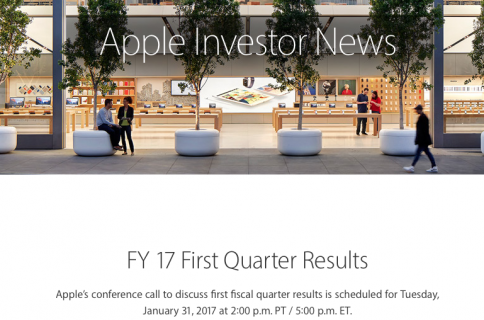 The call will include Apple’s performance metrics and sales figures from a three-month period which ended March 31. According to analysts, Apple is expected to report iPhone sales anywhere between 26 and 44 million units, with the best analysts’ consensus of 35 million units. Some folks are worried about a 24 percent drop in iPhone activations by Verizon and rumors that carriers might drop iPhone subsidy that hurt their bottom line. 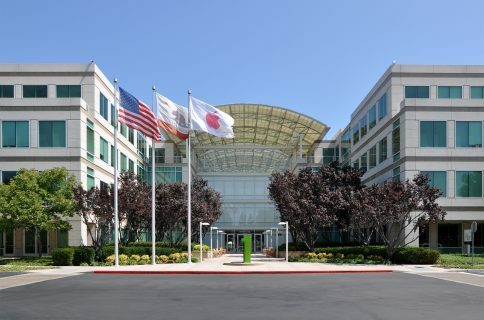 I opined these concerns are overblown and should be taken with a grain of salt as crazypants analysts and Apple doomsayers regularly come out of the woodwork ahead of the company’s quarterly reports. The Cupertino firm will provide live audio streaming using its QuickTime technology. The live webcast will begin at 2 pm Pacific / 5pm Eastern next Tuesday, April 24. The webcast is available on any iPhone, iPad or iPod touch running iOS 4.2 or above, any Mac running OS X 10.5 or above or any PC running QuickTime 7 or later. The call will also be available for replay for approximately two weeks thereafter, beginning Tuesday, April 24 at 5:30pm Pacific / 8:30pm Eastern through Tuesday, May 8 at 5:30pm Pacific / 8:30pm Eastern. If you will be dialing in for the the rebroadcast, punch in a toll-free number (888) 203-1112 (toll-free) or (719) 457-0820 and use confirmation code 2646984. The iDownloadBlog team will be on hand, providing real-time covering of news as it hits the wires.